Sweet, spiced, apples are tucked between two layers of oats, nuts and brown sugar. This is a classic apple crisp with a twist. .In a large bowl, mix the flour, oatmeal, cinnamon,nutmeg and brown sugar. Cut in the cold butter until mixture looks crumbly. Stir in chopped nuts. Spread half of this mixture into the bottom of a 10" pie plate and pack it down. In a heavy pan, saute the apple slices in a tablespoon of butter, ½ cup brown sugar and ¼ teaspoon of cinnamon and a pinch of nutmeg, JUST UNTIL THE APPLES BEGIN TO SOFTEN. Place this layer on top of the crumb crust. Top the apples with the rest of the reserved oat mixture and gently pat down. Bake in 375 degree preheated oven for 35 to 40 minutes. Serve with ice cream. NOTE: I have never been a big fan of nutmeg until I recently started using freshly grated nutmeg seed. It is an entirely different taste than you get in the pre-ground nutmeg. A jar of seeds has a LONG shelf life and they really make a huge difference in baked goods. Only thing that can make an apple crisp better is two layers of the topping!! Fabulous idea. I have never seen nutmeg seed Ill have to look for it. Coleen, apple crisp is one of my all time favorite desserts; I eat it year round and eat unladylike quantities of it when I do, grins. I LOVED this twist on this beloved favorite. Will certainly have to give this a try. I wholeheartedly agree about the fresh nutmeg. It's all I use now. 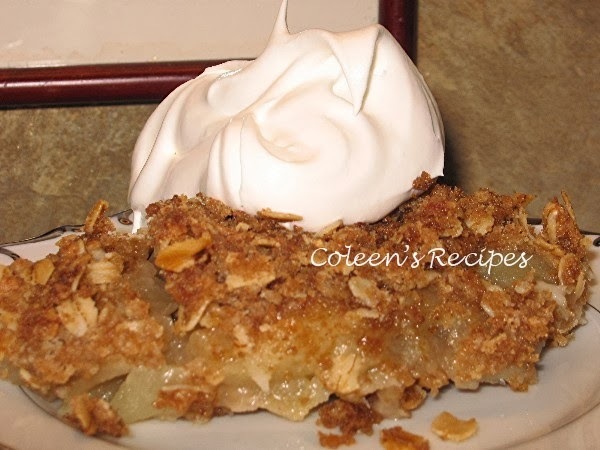 Coleen, found ur wonderful blog thru KAty and i loveee a layered crisp and crumble!! I bake a layered one too , a little different and u leave me with lods of ideas galore!! oh i can practically smell this and it smells divine! i don't know that there is a better fall treat! I make something very similar, but I haven't precooked the apples. I'll have to give this a try ~ I have always wanted to try using freshly grated nutmeg. I'll definitely have to give that a try, too! Yum, apple crisp has always been one of my favorite desserts. My school used to make three layer apple crisps for the school lunches too. I came on over from Katy's blog and really enjoyed looking around your blog! This apple dish looks fantastic...I have precooked apples in the past and tend to kinda forget about doing that! I would like to try this one! What a wonderful way to bake apple crisp. I always love the topping best and now I can have double topping. Thanks. Apple crisp..oh how I love it, served warm with a little ice cream. 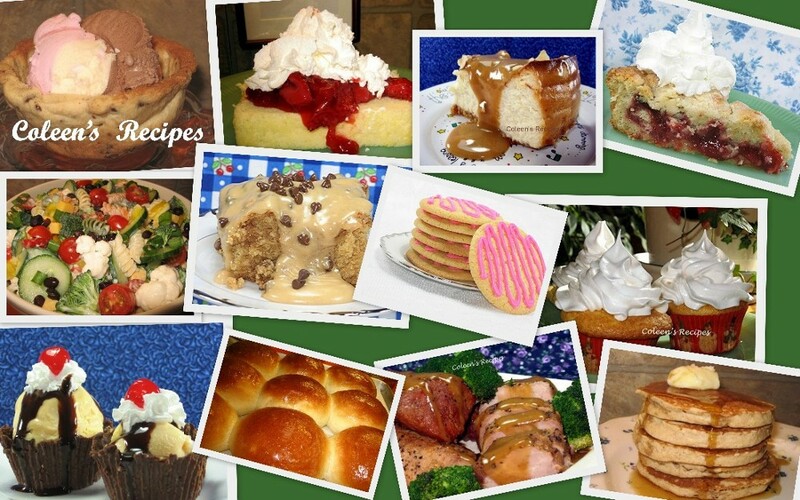 Oh my Coleen, I think I'll have to make this today. Love it layered as I never think those crumbles on top are enough. I totally agree with using fresh nutmeg.